Quick Take: Under new management a historical art nouveau cafe becomes Cravan, a hot little hidden gem in the 16th. 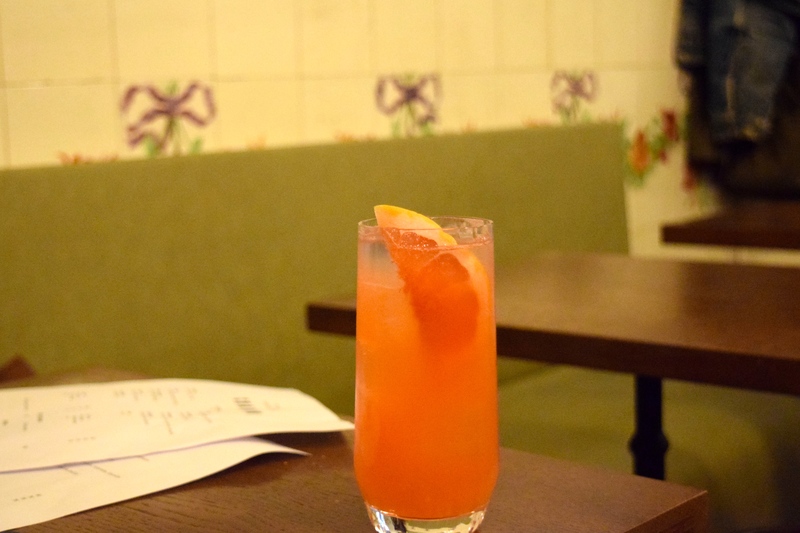 The last few years on the local drinks scene prove that the future of Paris’s cocktails is in its past. No longer adhering to the cookie-cutter speakeasy style or doing the French take on Brooklyn bars, the city has been not only developed its own cocktail personality, but takes inspiration from and celebrates its culture and past. 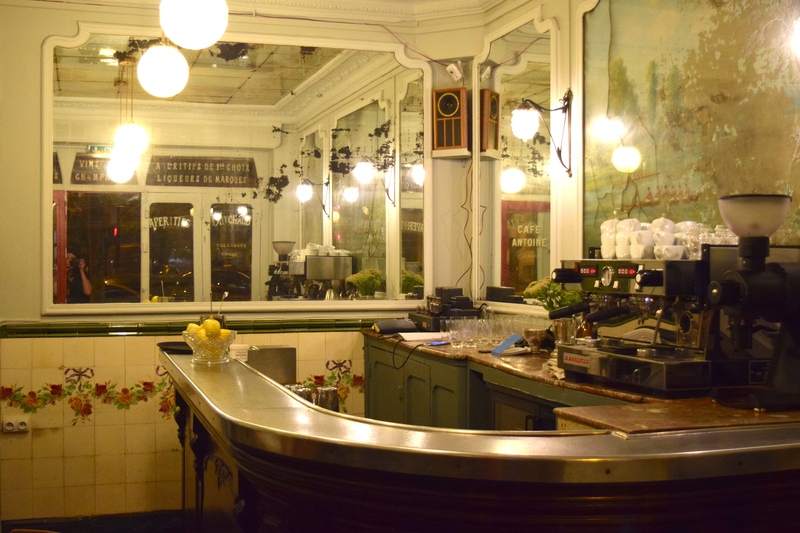 First bars like (now closed) le Coq or le Syndicat showcased forgotten french ingredients. The recently reopened Gallopin bar not only focuses on local liquids but has revived a classic and historical institution. Recently, la Coupole and other establishments of the old guards have been getting facelifts. No longer is Paris pretending to be New York, but rather proudly flaunting its Frenchness! The latest to showcase some historical flavor: Cravan. 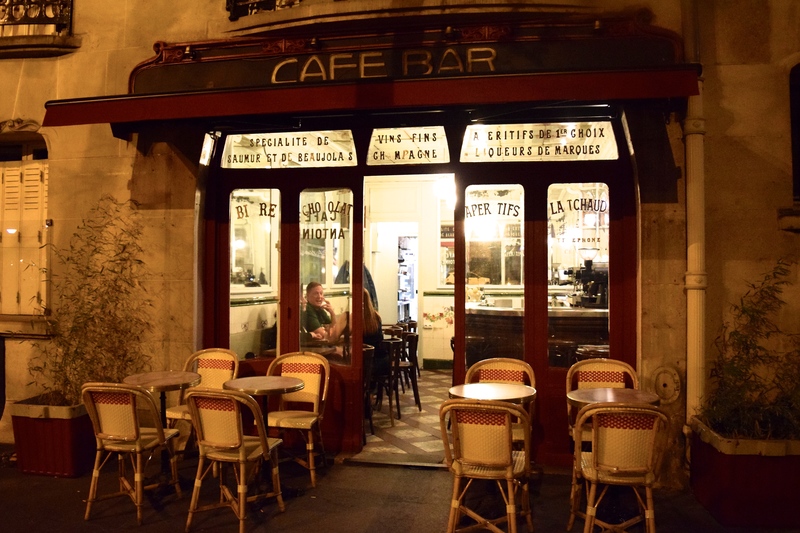 At first pass, you might not register much about this petite Parisian cafe. The exterior is sweet, but resembles plenty of the city’s little cafes that recall a prettier epoque, but can disappoint on the food and drink front. But step through the doors and a few things will clue you into the fact that there’s something more to be explored. The old school patina of this art nouveau space has been polished up nicely, showcasing antique mirrors, a zinc bar and beautiful old tiles. The menu is the next clue to the quality of what’s happening here. With Franck Audoux, previously of Chateaubriand, at the helm, it’s no surprise that the menu is clean and impressive, across the board. The ten cocktails at 12 Euros each fall roughly into two categories: classic riffs and house creations. Neither disappoint. The overall selection veres more towards an aperitif style with a light touch. If you order a martini (not on the menu) it’s a a fifty/fifty, which brings down the booze-factor and reminds one of how enjoyable those particular proportions can be. The Yellow cocktail, a gin, suze and chartreuse combination is a popular option (and a personal favorite). 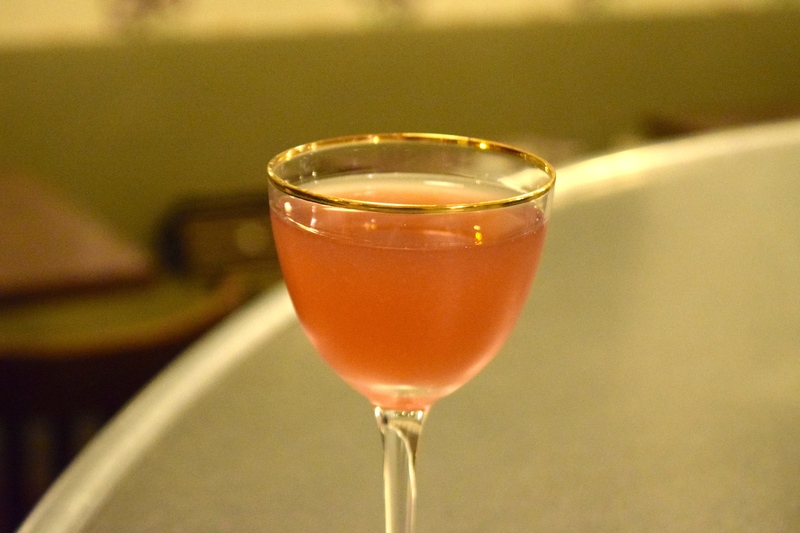 Their take a negroni, the Tunnel, adds a touch of sweet vermouth to the classic vermouth, campari, gin combo to deliver some that is rounder and rather sublime. While the cocktails are quality, this isn’t the kind in-your-face cocktail place where the staff will be barsplaining or customer-training. There are no bottles or brands on display and, unless you specifically ask, you won’t necessarily get a background on the beverages. It’s just a quality neighborhood cocktail cafe where you can order some great drinks as well as other things. Stop by in the morning for a coffee and granola or head in for a croque madame for lunch. Or the luscious lobster roll is always available for 28 Euros. All of this further reinforces the fact that cocktails are being integrated into the Paris drink-scape and are no longer just a niche. Letter from the Editor October 2018: What to do with a passion project?